Got a serious crush on Suede Matte Lip Liner? 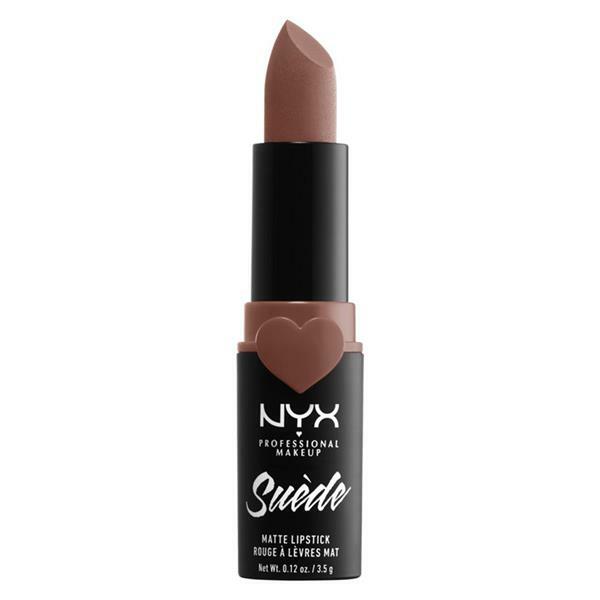 Then you’re about to fall head over heels for the Suede Matte Lipstick, the all-new formula inspired by those velvety pencils from NYX Professional Makeup. Featuring an adorable heart-adorned case, this super-soft and lightweight lipstick covers your pout in powdery-matte colour. Pair all 24 plush shades with their matching lipliners for a look you’ll heart. Wear the lipstick by itself or prep with the matching Suede Matte Lip Liner for more precise application.